If your toilet isn’t flushing properly, one of seven problems might be the cause. Learn how to solve each one here. Even if you buy the right toilet, someday it’s probably going to have toilet flushing problems. Toilet flushing problems are at best inconvenient and at worst frustrating and stressful. 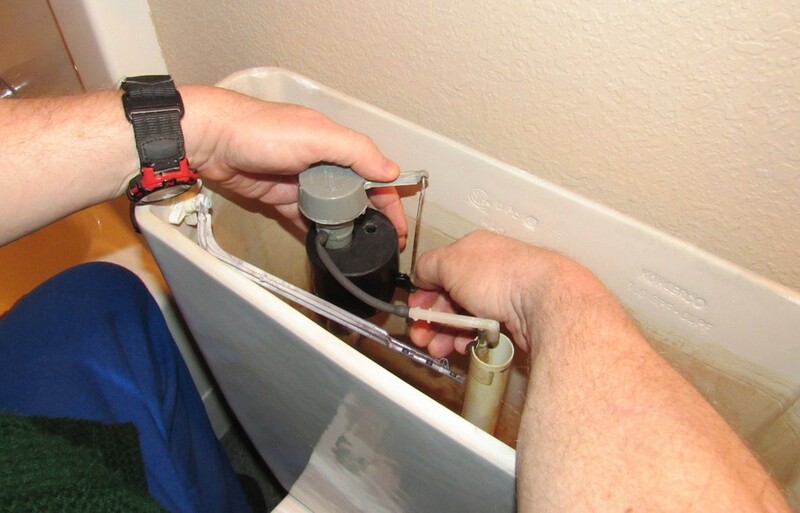 This is why troubleshooting flushing problems is a good DIY skill to have. Here’s how to handle toilet flushing problems that you’ll commonly encounter in most toilets. The fill tube is the narrow, flexible tube that runs from the fill valve to the overflow tube inside the toilet tank. After you flush the toilet, as the tank refills, this tube shoots water down the overflow tube to refill the toilet bowl after the flush. If the fill tube is out of place, the toilet bowl won’t fill up with water, and the next time you go to flush the toilet, you’ll either get a weak flush or the toilet won’t flush at all. To fix this problem, follow these steps. Look for the narrow flexible tube extending from the fill valve (that tall contraption on the left side of the tank). Is it well-connected to the fill valve? If not, attach it firmly. Look for the other end of the fill tube and the overflow tube. The overflow tube is the tall vertical tube that’s to the right of the fill valve. Is the fill tube going into the overflow tube? If it’s not, reposition it so that its end goes down into the overflow tube. Flush the toilet, and watch the water go through the fill tube to be sure it’s heading down inside the overflow tube. When you flush a toilet, a toilet flapper raises to allow water to leave the tank and flush away what’s in the toilet bowl. This flapper is lifted by means of a chain that’s connected to the lift arm, which is connected to the toilet handle. If this chain, called a lift chain, is too long, the handle won’t be able to make the flapper raise up. When that happens, the toilet will either have an ineffective flush, or it won’t flush at all. Similarly, if the flush rod is hitting the toilet lid, it’s not going to raise the flapper high enough to allow a proper flush. Here’s how to fix this. Locate the chain. If it’s too long, shorten it so that the chain is just shy of taut. You want a tiny bit of slack, but not too much. Put the tank lid back on and flush the toilet. If you’re problem is solved, you’re done. If it’sn’t, move on to step 4. Remove the tank and flush the toilet. Watch the flush rod to see if it’s raising up above the side of the toilet. If it’s, it may be hitting the lid. If the flush rod is adjustable, adjust it. If it’sn’t, you might have to purchase and install a new flush rod that better fits your tank. 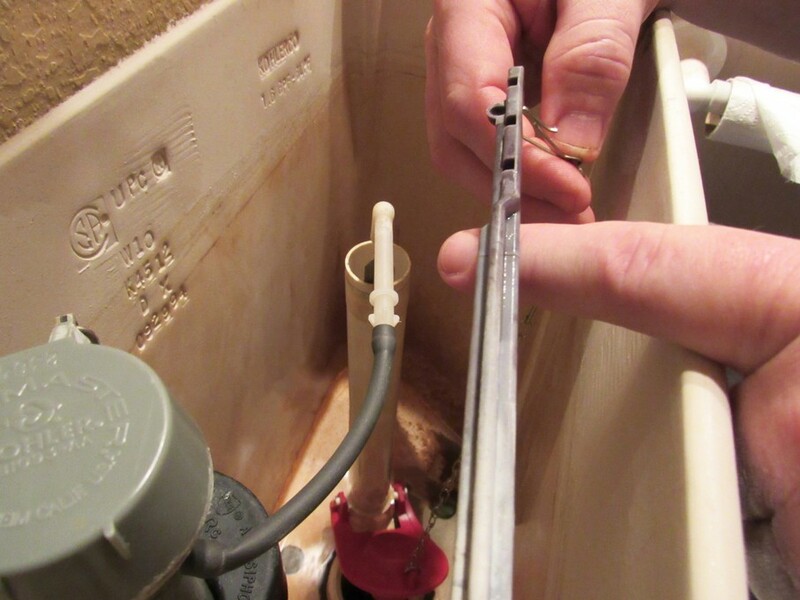 If your toilet flush handle is loose, it’s probably caused by one of two issues, both of which are easy fixes. Sometimes, the chain you adjusted in Problem #2 can become disconnected from the flapper. When this happens, your flush lever will just flop around, and your toilet won’t flush when you push the lever. To fix this, just reattach the chain to the flapper. If the chain isn’t disconnected, it’s probable that the handle mounting nut is loose. You simply need to tighten it with a pair of pliers or a wrench. Just be aware that it has reverse threads so to tighten it, you rotate the nut counterclockwise. And be gentle because most lever nuts are plastic, and they can easily break. The water level in the toilet tank is controlled by the toilet float, which is adjustable. If the toilet float is set for a water level that’s too low, you’ll get a weak flush. A low water level usually has one of two causes that are easy to fix. If the water valve has been bumped so it has been turned off or mostly off, the tank won’t fill to the proper level. So check your water valve to be sure it’s fully on. To do this, turn the water valve at the base of the toilet counterclockwise until you can’t turn it anymore. If the water is fully on and the water level in the tank is still too low, the water level probably isn’t properly set on the fill valve. 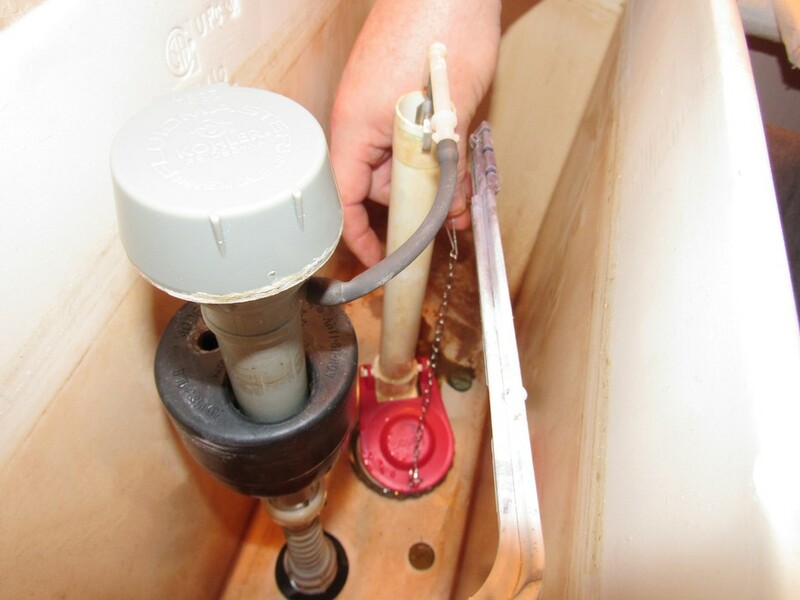 To set the water level, either adjust a screw or move a clip up or down the shaft of the fill valve. 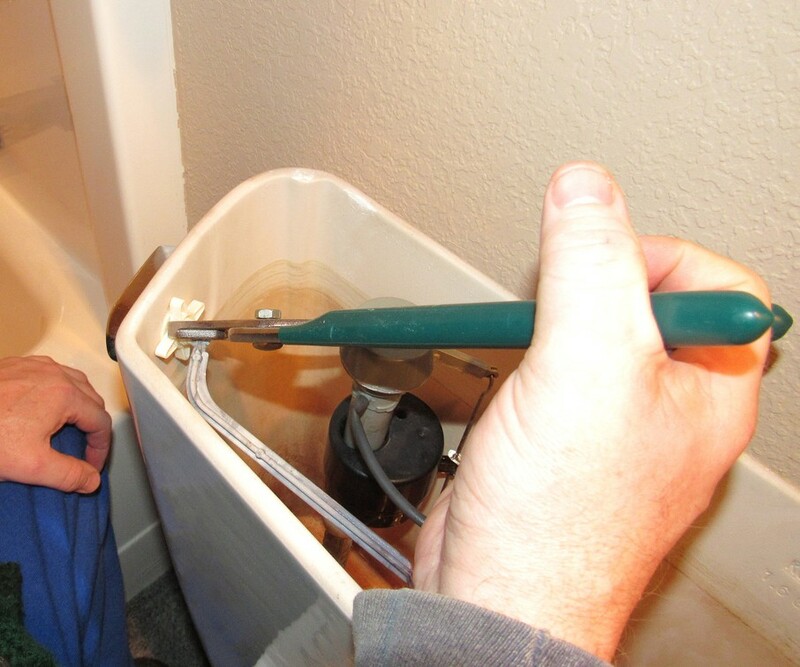 Adjust it a little, flush the toilet to check the water level, and adjust more as needed. Remember the flapper in Problem #2? Even if the chain is properly set, the flapper still might be the cause of a flushing problem. Over time, flappers wear out, and a bent or warped flapper will cause water to leak through the flush tube hole. This will let water seep out of the tank so the tank won’t hold enough water for an effective flush. If this is the case, you’ll need to replace the flapper. Turn off the water at the base of the toilet. Flush the toilet to empty the tank. Remove the old flapper by unclipping it or slipping its connecting ring off the overflow tube. Install the new flapper according to its instructions (different flappers have different installation connections). The flapper will probably have a chain attached. After you attach the flapper to the toilet, attach the chain to the flush rod. Flush the toilet. If you get a normal flush, your problem is fixed. If a toilet bowl isn’t getting enough water, you’ll have a weak or incomplete flush. One cause of a bowl not getting enough water is a clogged toilet bowl rim feed line or clogged jet holes, which are those little holes under the rim that allow water to flow into the bowl. Over time, calcium and lime carried by the water can build up in that line and/or those holes so water can’t properly flow through them. Here’s how to handle this problem. Turn the water supply valve off. Hold the flapper open to let most of the water leave the tank. Choose a mineral-deposit-removing solution. A couple effective products are Lime-A-Way or Clorox. But if you prefer a chemical-free choice, use white vinegar. Let the solution sit at least several hours, overnight is even better. The liquid will hang out in the rim flow channel and dissolve the mineral build-up. While the mineral-dissolving solution is working, take the time to clean the rim feed holes as well. Use the end of a piece of wire, such as a straightened wire hanger or a stainless steel turkey lacer (that’s what we use) to clean the hard mineral build-up from the holes. Just poke the end of the wire into the holes to scrape away the build-up. After the requisite waiting time, turn the water back on and let the tank refill. Flush the toilet a few times to remove any remaining cleaning solution or loose mineral deposits. A clogged toilet obviously will cause flushing problems. It’s also Enemy #1 to a pleasant spa-like bathroom experience. 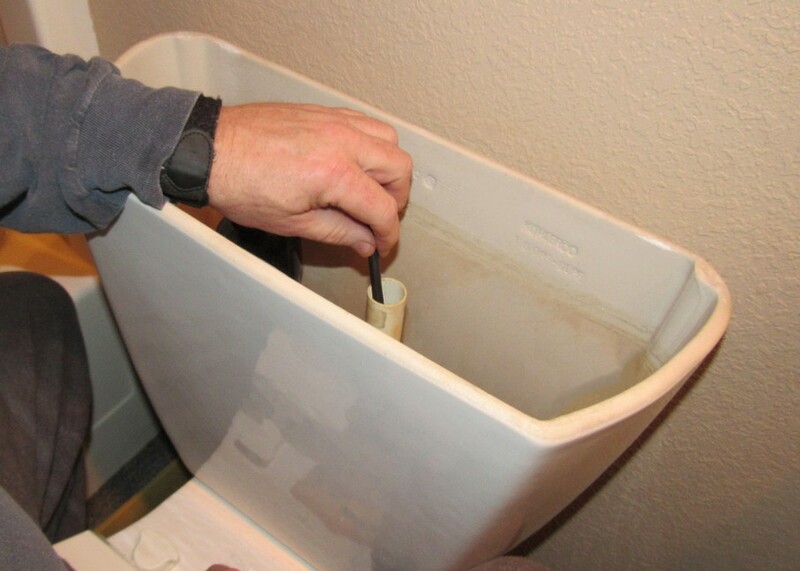 Here are the two easiest and most common ways to unclog a toilet. 1. 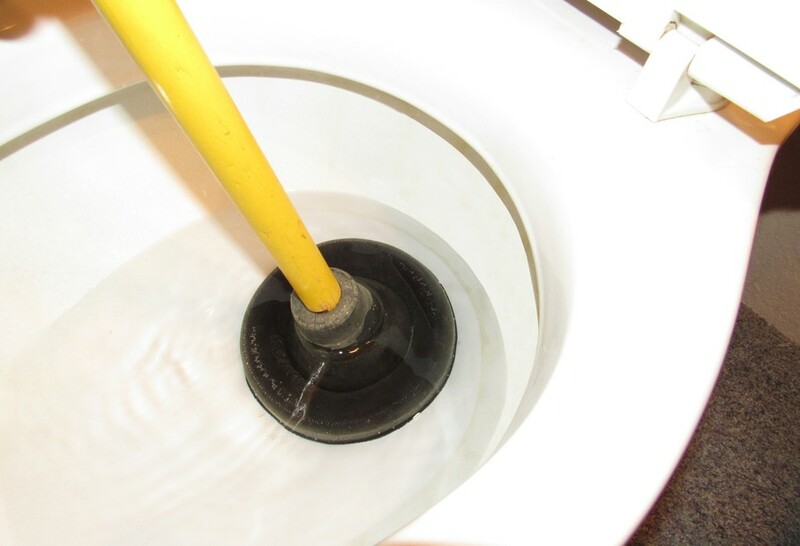 Use a toilet plunger to create enough suction so you can dislodge the clog. 2. If the plunger doesn’t work, try a toilet snake or toilet auger to push the clog through the line. A toilet is a convenience that should serve you, not cause you stress. Now that you know the most common causes of toilet flushing problems, and how to fix them, hopefully flushing a toilet will be a stress-free experience once again.